Forest Garden Cranbourne 7x7 Corner Summer House is a lovely 7x7 Corner Summerhouse featuring the supremely safe Plexi-Glass style Glazing - ideal if young children or elderly people are using the building. The Forest Garden Cranbourne Summerhouse makes a lovely feature in what can be an un-attractive corner of the garden and can transform what is now wasted or unused space in a corner into the the most appealing area in the garden! 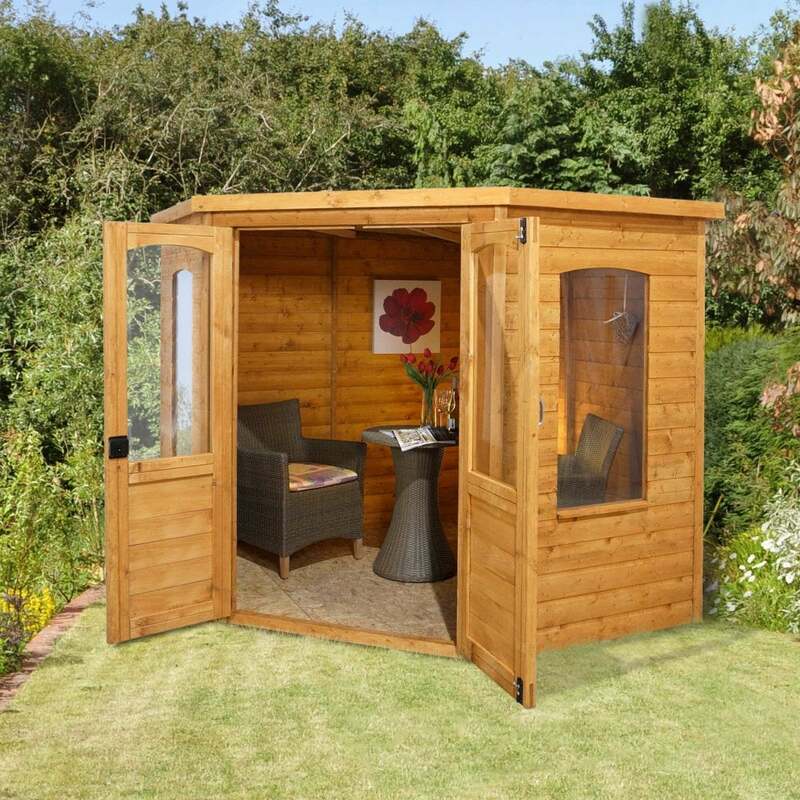 The Forest Garden Cranbourne Summerhouse is a great value Summerhouse featuring optional assembly and speedy delivery. Husband put it up by himself with no problems. Happy with this summer house very nice to relax in.